Adopting a child can be a heartfelt act of generosity and a beautiful way to extend a family’s love. For a parent unable to provide the care and secure environment a child needs, giving a child new parents through adoption can be a selfless act that allows all involved to mature and grow. 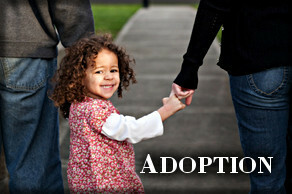 Oklahoma law provides a legal framework for adoption. Adoption laws serve to protect the interests of children, of adoptive parents and of those who give children into adoptive families. A Tulsa adoption attorney can help families and individuals considering adoption build relationships that reflect their best desire for a child’s future. The service of an adoption attorney can provide families the confidence that their adoptive child’s youth will not be interrupted by foreseeable legal controversies. If you are considering adopting a child or need advice about how to provide a secure adoptive setting for your child, contact the Tulsa adoption attorney at Wirth Law firm for a free confidential consultation today at (918) 879-1681. What is involved in Oklahoma adoptions? In many circumstances, an adoption can be arranged with the consent of both birth parents and adoptive parents. Such voluntary agreements can include a role for birth parents or not, depending on the wishes of those involved. A Tulsa adoption attorney can help you find out if a voluntary adoption is feasible and, if so, guide you through the legal process. Oklahoma adoption laws provide a complex maze of requirements intended to protect children and parents in adoption proceedings. You’ll need to show you’re able to care for an adoptive child financially and psychologically. As an adoptive parent you’re entitled to a complete medial and social history report about your adoptive child including information about the child’s mother that could affect the child’s health. At a minimum an adoptive parent must be 21 years of age, but it’s not always necessary that a person be married or have a partner. 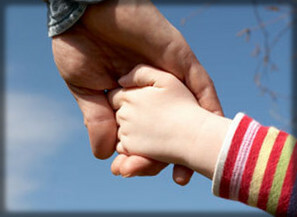 A step parent may adopt a spouses children. In independent adoptions, birth parents or a birth mother are often involved in selecting adoptive parents. When a child is a ward of a public agency, that agency or a court can select an adoptive family, Where an agency is involved, the agency, birth parents or the court may select an adoptive family. Oklahoma allows adoptive children to discover the name of their biological parents on their birth certificate after a certain age — unless a birth parent formally stipulates otherwise. Oklahoma adoption laws grant adoptive parent an absolute parental role, including the authority to exclude biological parents from visiting the child, even if their is an informal visitation agreement. In some cases, where a child has lived with a biological parent prior to adoption, the court may set up visitation rules that must be followed. 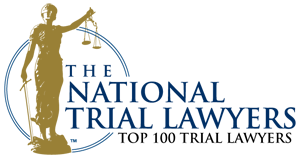 Oklahoma adoption attorneys role in adoptions includes production of contracts, representing adoptive or birth parents in court proceedings and working with parties in a confidential setting to assure all requirements are met. An adoption attorney can counsel you about various risks involved. A mother can’t formally consent to adoption before the child is born, and may revoke consent at some point during an adoption proceeding. 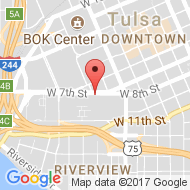 An Tulsa adoption lawyer can assist mothers in the Tulsa area complete a Notice of Plan for Adoption, and provide notice to the putative father. Adoption can take many forms and involve diverse jurisdictions. In Oklahoma, adoptions sometimes involve families and children who are members of Indian tribe and have their own sets of laws. Adoptions sometimes take place across state lines or national borders. In those cases, different rules applied and a Tulsa adoption attorney may involve attorneys trained and qualified to practice in those jurisdictions. Adoptions can sometimes involve adult persons — for reasons of sentiment and perhaps for reasons related to estate planning. Grandchildren may be adopted by grandparents, special-needs children or others are sometimes placed in foster care of prospective adoptive parents prior to adoption, in some cases to allow prospective parents to gain experience. Non-traditional families sometimes contact a Tulsa adoption attorney to find out how the State of Oklahoma and Oklahoma courts view their circumstance. Whatever your situation, if you are considering adoption as either an adoptive parent or as the birth parent of a child to be adopted, contact a Tulsa adoption attorney at the Wirth Law Office today for a free, confidential consultation about your particular interests. Call today at (918) 879-1681. Help! I’m pregnant and can’t care for my baby! Because so many mothers in recent years found themselves pregnant and unable to figure out how to care for their infant, Oklahoma legislators adopted a Safe Haven law that allows a mother to surrender an infant to a medical provider or child rescuer within seven days of birth. It may seem an act of desperation, but in fact, compared to desperate measures some mothers take when they aren’t prepared to care for a child, it’s an act of love. If you are unable to care for your child, do the right thing. Contact a Tulsa adoption attorney immediately to find out where you can get free legal help. If you would like a free consultation with an Oklahoma adoption lawyer, call the Wirth Law Office at (918) 879-1681 (or toll free at (888) Wirth-Law) or submit the question form at the top right of this page.